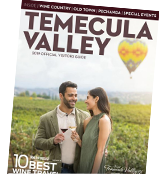 The Visit Temecula Valley offers travel media hosting for qualified travel media on assignment or in search of stories and editorial coverage about Temecula as a travel destination. Individual trip arrangements can be set up on a media rate/comp basis and are handled on an individual basis. A letter of assignment and recent examples of travel or travel-related feature coverage should also be provided. Include a letter of assignment on letterhead from the media outlet you are representing. Requests must be submitted at least 30 days prior to the anticipated date of arrival. Please note due to high visitation, we are only able to process requests for visits that fall between Sundays and Fridays. Only enter number - no ","
If yes, will you mention the hosting hotel in your story?